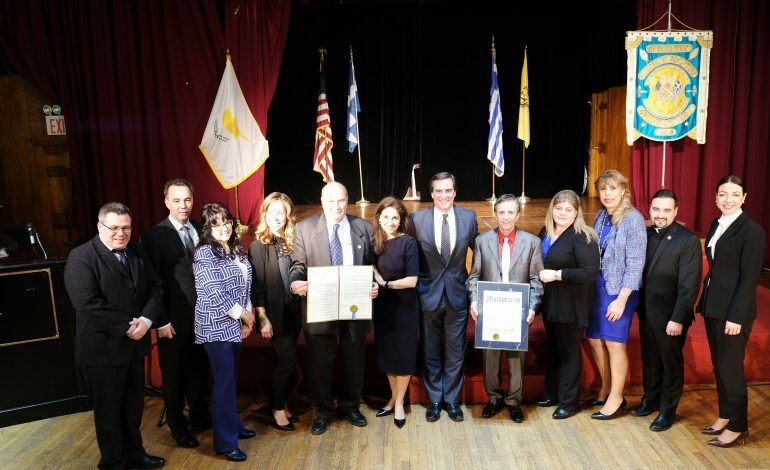 ASTORIA, N.Y. – Senate Deputy Leader Michael Gianaris, Assemblymember Aravella Simotas, Councilmember Costa Constantinides and Queens Borough President Melinda Katz hosted a celebration of Greek Independence at the Stathakion Center in Astoria. The Queens leaders marked the occasion with a ceremony recognizing Greek heritage and culture, and honoring local community members. Greek Independence Day commemorates the start of the Greek War of Independence against the Ottoman Empire in 1821. 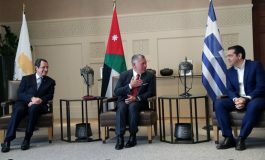 This year’s occasion marked the 197th anniversary of Greek independence. 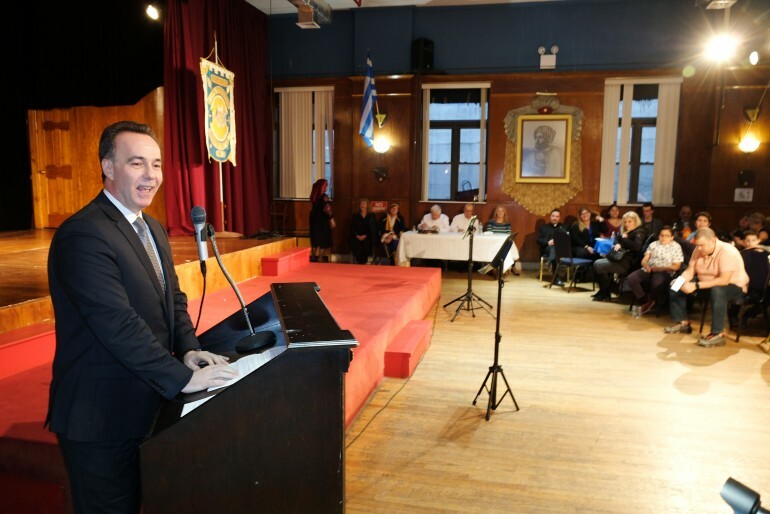 Assembly Member Aravella Simotas said, “It is a privilege to join my colleagues in government to celebrate Greek Independence Day in Astoria, which so many Greek immigrants have called home. Those immigrants and their families have enhanced our beautiful community while they pursued their American dreams. The five extraordinary Hellenes that we honor at this year’s celebration strengthen and promote our Greek heritage daily through our schools, churches and civic engagement. 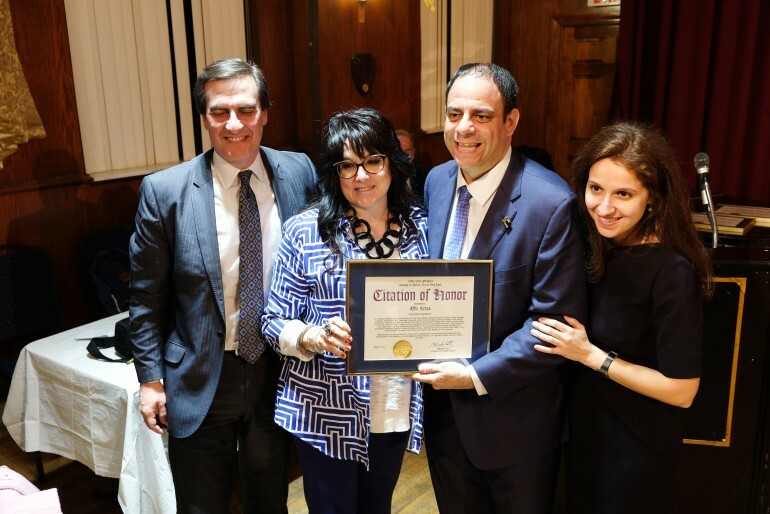 They have my deepest appreciation for lifting up our Greek community and this beautiful borough of Queens that we call home. Honored at the ceremony this year were: Maria Haralampopoulos, an educator at the Academy of American Studies; Father George Anastasiou, Chaplin with the NYPD; Betsy Sideris, Principal of St. Catherine’s school; Effie Lekas, professor at Queens College; and Florence Koulouris, District Manager of Community Board 1.